Blog created by Nashik Postal Division Office to sort out the issues related to computerization in Post Offices. 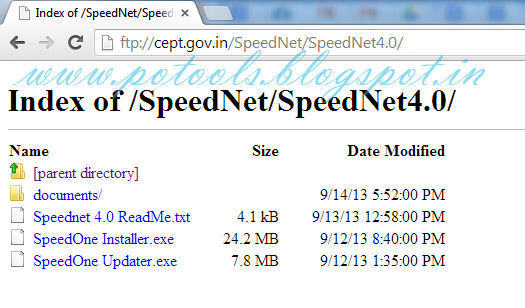 Download all files listed above i.e Speednet 4.0 ReadMe.txt , SpeedOne Installer.exe, SpeedOne Updater.exe. SpeedOne Updater: execute from Server - It contains Scripts and DB Updates and Speed Net Client 4.0 Software updates for server. 1. No need to run from Client PC. 2. One time Execution is enough. 3. Auto execution and Updation added. SpeedOne Installer: It contains SpeedNet Client/ Server/ Communication updates. 1. 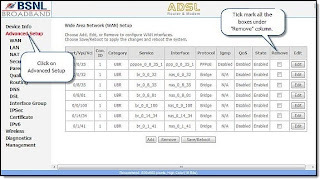 Take backup of SpeedNet Communication and server folder. 2. 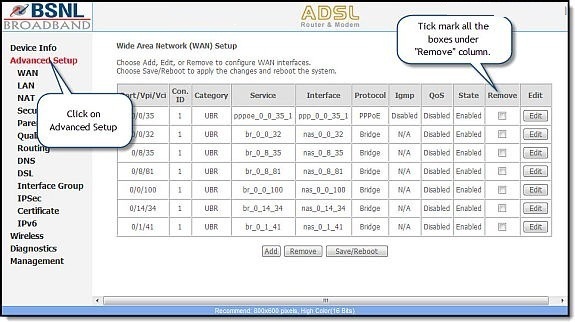 Un-install Speed Net Communication and SpeedNet Server Component from your machine. 4. 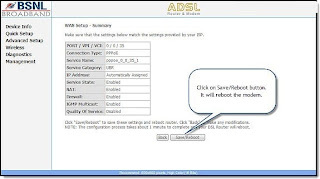 Now Select and Install / update SpeedNet 4.0. Note: No Need to execute SpeedOne Installer > SpeedNet Client from Server if already updated using SpeedOne Updater. 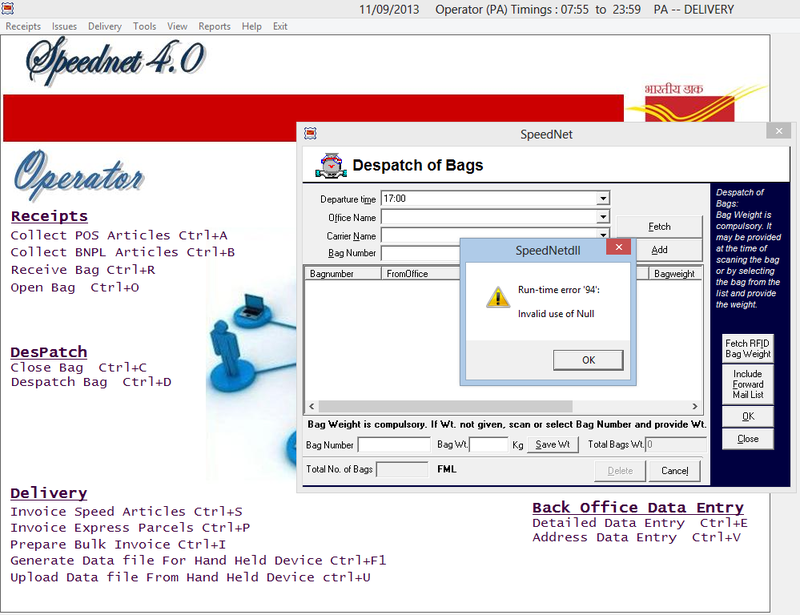 After speednet 4.0 updated(Official release Setup) in Some Offices, while closing the bags in Speed Net 4.0, it get exit when the print option is given and dispatching the bags also showing the error "Invalid use of Null". . The error Screenshot is attached herewith for your reference..
PTC Sent the Solution for above issues. a) Run the attached EXL files (first run OfficeName_NullSolution.exl and then OfficeMaster_DataUpdation_Soln.exl) using ScriptTool.exe after taking full database backup. 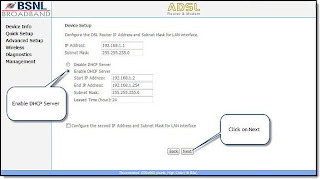 b) Download the Office Data of your Circle from SPC site and update this data through SpeedNet Communication. c) Under Supervisor --> Master --> Offices --> Add Additional Offices --> Click on "UPDATE OFFICES DATA" button. a) Under Supervisor --> Master --> Offices --> Add Additional Offices --> Enter the PinCode of the desired office and Click on "Fetch" button. b) All Offices having said PinCode will be displayed. Select the office and Click on "Add" button. 2. Error Message like " MSDTC SERVICES IS NOT RUNNING "
Note:  Replace 'myserver' with your servername in the above query. 2. 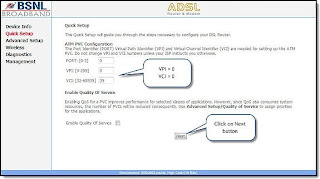 Go to Services (Control Panel-- Administrative Tools--Services ) and then start the service 'Distributed Transaction Coordinator' (MSDTC) with start up type as 'Automatic' and Log On As 'Network Service' as shown in the attachment. Then execute the below mentioned Query relating to 'RPC' error to solve the problem. Revision of Speed Post Tariff. Kindly find enclosed herewith a copy of CO Mumbai L. No. BD/SP/Corrs/2011-12 dated 25th September 2012 along with Directorate N.Delhi DO L. No. 57-06/2011-BD & MD (pt) dated 21.09.2012 on the subject. Considering the market rates of the express industry and the cost of operations of Speed Post, the Speed Post tariff are being revised as follows with effect from 01st October 2012. CEPT Mysore will issue a patch for revising the Speed Post tariff. On receipt of the same, all concerned will download the same and update in point of sale etc. immediately. You are requested to bring it to the notice of all concerned including BNPL customers in the divisions. Click on the following link to update the international Parcel tariff. 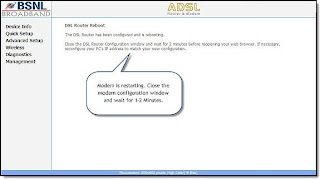 Before we proceed, first we need to ensure that we are connecting the Modem to the Phone line and computer. 1. 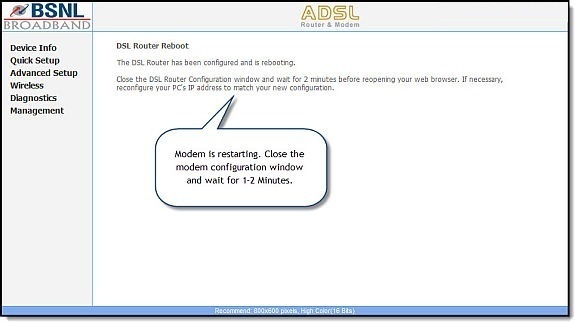 Turn ON the Modem. You can find the Power button is at the rear of the Modem. 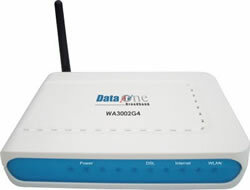 Once the Modem is Turned ON, the Power Button LED at the front will glow. 2. Connect the Phone Line cable to the LINE port at the rear of the Modem. 3. 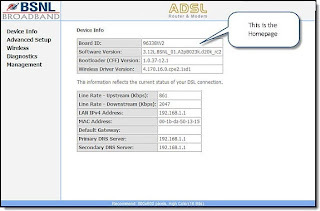 Connect Modem to the Computer. 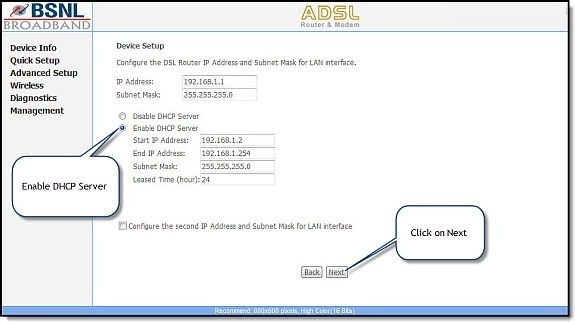 Connect a LAN cable (Network cable/RJ45) from Modem to the LAN port (Network Port) of your computer. 4. Once all connection is proper, we can proceed to next step. 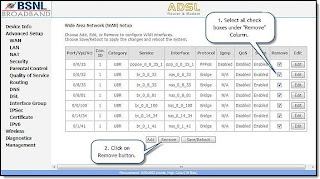 Follow below said step by step procedure to configure the BSNLWA3002G4 broadband modem to access Internet from your Desktop and from Laptop (via Wi-fi) at the same time. 1. 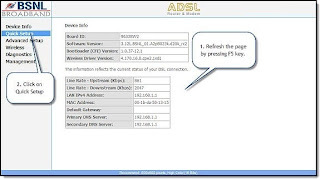 Open Internet Explorer, type (Or type 192.168.1.1) and press the Enter key on the keyboard. 2. 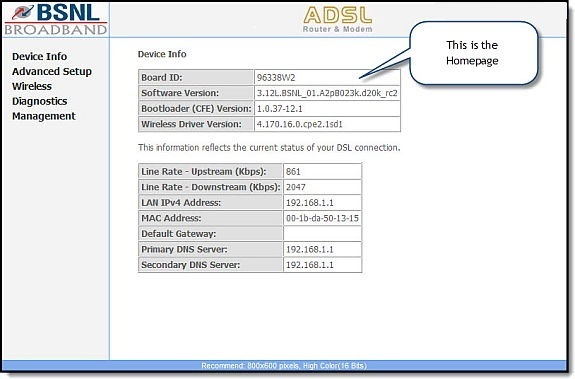 Now a popup screen asks you to enter ID and password to configure your Siemens SL2_141 broadband modem as shown below. 3. Enter below said User name and Password. (Use the default factory user name and password) and click OK.
6. 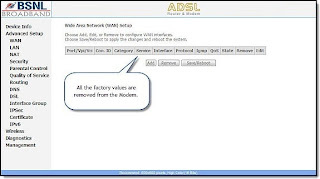 Select all the boxes under the Remove column and click on Remove button to remove all factory settings. Check the below said screenshot to understand better. 7. 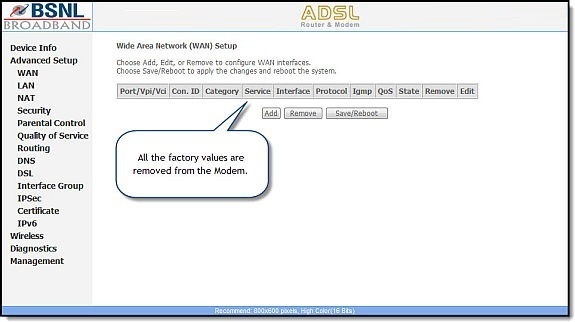 Once you click remove button, all the factory values will be removed from the modem. Now the screen will look the one provided below. 8. Please Refresh the page by pressing the F5 button on the keyboard. The new window will look the one provided below. 10. 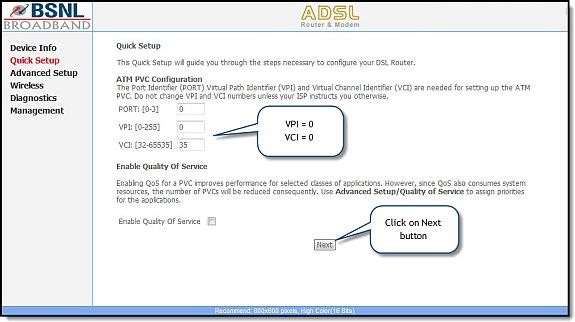 Then set VPI and VCI values as shown below. 11. Then click on Next button. You will be at Connection Type page. 12. 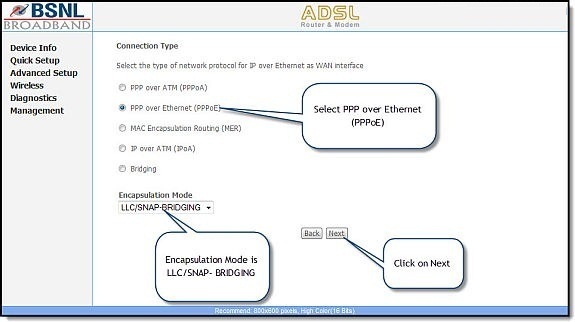 Select PPP over Ethernet (PPPoE), also select Encapsulation Mode = LLC/SNAP- BRIDGINGas shown below. Then click on Next button. 13. On the next page, enter below said details. 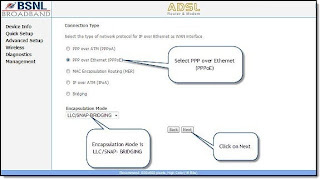 PPP Username: Username provided by BSNL. 14. 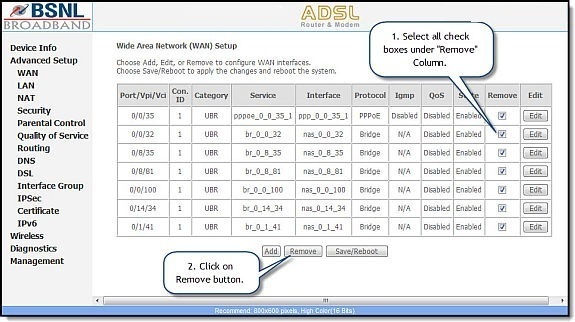 You can also select “Enable “Bridge PPPoE Frames Between WAN and Local Ports” option. 15. Then click on Next button. 16. 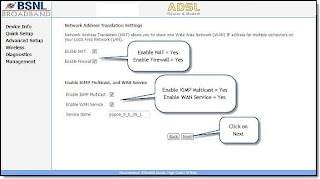 Now you will be at Network Address Translation Settings page. 18. Click on Next button. 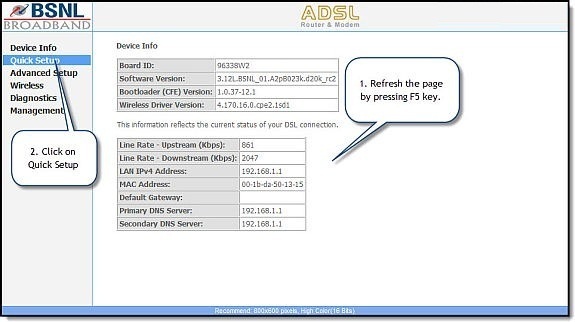 Now you will be at Device Setup page as shown below. 20. 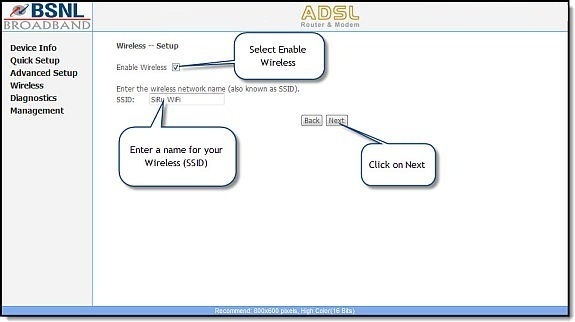 Now you will be at Wireless – Setup page. 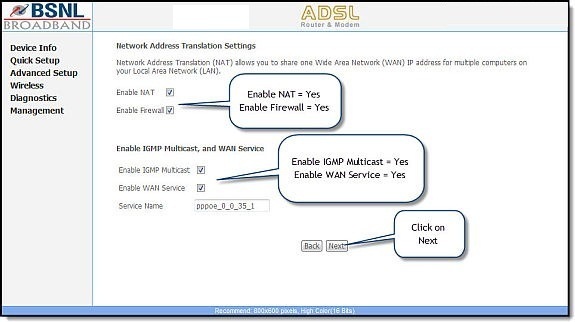 23, Now you will be at WAN Setup – Summary page. 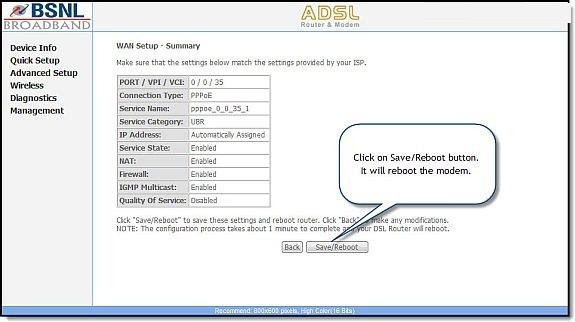 Click on Save/Reboot button to reboot you modem. 24. It may take 1-2 minutes for the changes to take affect. Close the Internet Explorer browserwindow now. 25. Congratulations. 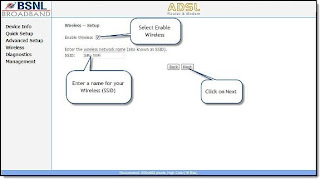 You have successfully configured both Ethernet and Wireless Internet on BSNL Broadband ADSL Modem. Thanks to SA Tirur for this useful Post. All India Association of Inspectors & Asst. Supdt. Posts, Maharashtra Circle.